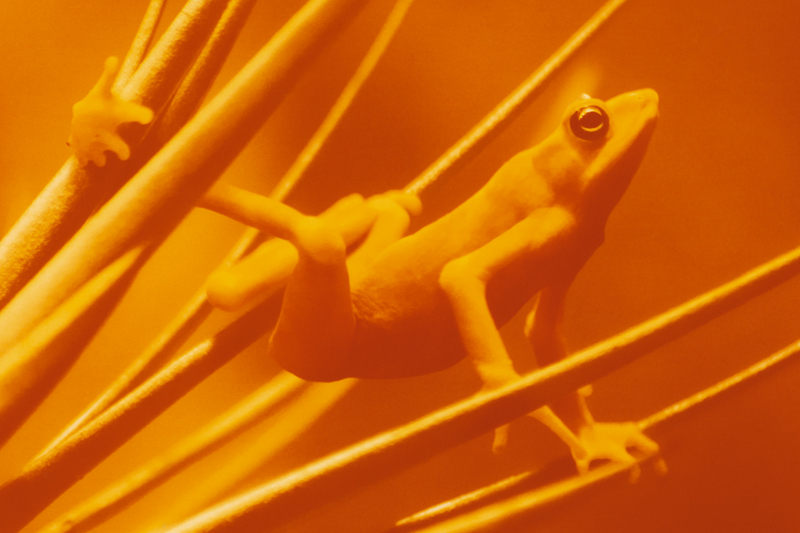 Since 1980 independent record label 4AD has been the home to remarkable music, from the likes of Cocteau Twins, Dead Can Dance and Pixies in the 80s, to their current roster featuring the likes of Deerhunter, Scott Walker and Grimes. This Fall, 4AD will present the label’s first-ever tour featuring labelmates Tune-Yards and U.S. Girls who will embark on a cross-country U.S. tour in support of their standout, culture-shifting 2018 LPs. Ten dates are announced today with more to be announced soon. [UPDATE - 25th June 2018] A new date has been added in Chicago IL. 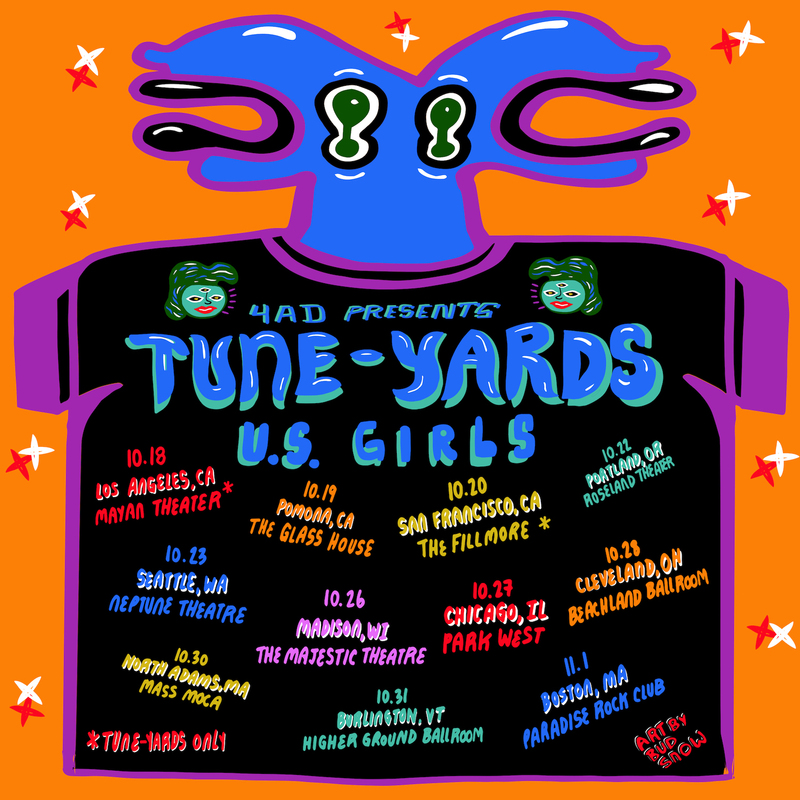 Tune-Yards and U.S. Girls will perform at Park West on 27th October. Tickets are on-sale from 10am CT on Thursday 28th June, but 4AD fans can pick up pre-sale tickets from 10am CT on Tursday 26th by using password 4ADPRESENTS. Tickets will be on-sale here. Tune-Yards’ universally acclaimed new album I can feel you creep onto my private life was released earlier this year. Entertainment Weekly called the album “politically urgent,” the New York Times called it “a sleek, radical evolution” and NPR Music said it’s “Tune-Yards’ most sophisticated album to date.” The band performed 'Heart Attack' and 'Look At Your Hands' on Kimmel and 'ABC 123' on Conan in January. Ahead of this newly announced tour, Tune-Yards will join David Byrne on tour for fifteen dates on the East Coast. To celebrate the tour, I can feel you creep into my private life and In A Poem Unlimited are on sale as an LP bundle along with the U.S. Girls Mad As Hell foam finger for $34.99 HERE, available to North American customers.